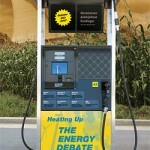 Heating Up: the Energy Debate, the 43rd Nobel Conference at Gustavus Adolphus College, Oct. 2 and 3, 2007, will consider global reliance on nonrenewable energy sources and explore a range of cutting-edge energy alternatives. Gustavus Library Associates (GLA) will sponsor its 16th biennial library fundraiser, "Razzle Dazzle...A Royal Affair," Saturday, Oct. 27, at the Sheraton Bloomington Hotel. This dinner and auction event will benefit the endowment fund of the Folke Bernadotte Memorial Library on the Gustavus Adolphus College campus. 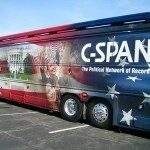 The Gustavus Adolphus College community will be among the first in the nation to see C-SPAN's new Campaign 2008 Bus as part of the "Road to the White House" tour, when the bus makes a stop on campus from 9 to 11:30 a.m. Sept. 5. While approximately 680 first-year students will arrive at Gustavus Adolphus College on Friday, Aug. 31 for new student orientation, 21 first-year students will arrive on campus a week earlier to participate in a unique experience called the New Student Wilderness Immersion Program. Gustavus Adolphus College will begin its 146th academic year Tuesday, Sept. 4 when classes commence for the college's 2,500 full-time students. Approximately 680 first-year students are enrolled at Gustavus this fall. 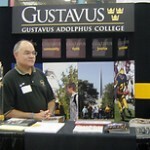 Gustavus Adolphus College will again have a presence in the Education Building at the Minnesota State Fair. Make plans to stop and visit between 9 a.m.-9 p.m. Aug. 23-Sept. 3. Back by popular demand are Gustavus core value pins. The core values for Gustavus are Excellence, Faith, Justice, Service, and Community. Stop by and pick a gold and black pin with the word that means the most to you. Alive and Well in St. Peter: Gustavus Responds to <i>U.S. 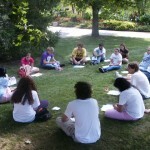 News</i> "Unranking"
U.S. News & World Report recently released its 2008 "America's Best Colleges" rankings. Gustavus and 17 other institutions appeared under a new ratings category called "Unranked." This move evidently results from confusion over how and whether Gustavus uses test scores in its admission process. 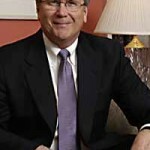 Dr. James L. Peterson, the 14th President of Gustavus Adolphus College, informed the Board of Trustees this morning of his decision to retire at the conclusion of the 2008 academic year, capping a five year term as President of the College. Peterson, 64, will serve through June 2008, and has offered to assist in an orderly transition beyond that date if needed. Gustavus Adolphus College senior Rachel Dorr recently completed a ten-week research training program at the University of Florida Whitney Laboratory for Marine Bioscience in St. Augustine, Florida. Dorr can now look forward to an all expense paid trip to the Sigma Xi Scientific Research Society's annual meeting in Orlando, Nov. 1-4, as winner of the Laboratory's in-house competition. Gustavus Adolphus College, along with Nicollet County and many local agencies, will conduct an emergency exercise Wednesday, Aug. 15 from 9:30-11 a.m. The drill will allow various emergency response officials to interact and practice for a public health-related event. The drill will result in many college parking lots being closed for the morning.